New Women Space (188 Woodpoint Road, 1A) is an amazing new event space in Williamsburg created for women to connect with other women and build community. Founded by two women intrigued by collaboration and community—Melissa Wong of Up Speak, and Sandra Hong of Girl Party—New Women Space currently has a variety of offerings, and will be evolving to include even more. 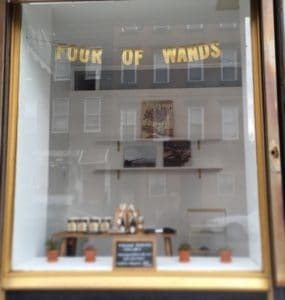 Sunday will be the one-year anniversary of Archestratus, Greenpoint’s very own cookbook shop/cafe/place of food-related treats and events at 160 Huron Street. Archestratus will be celebrating by having a day of comfort: they will be making and giving out spaghetti for free from 11am-6pm. Oh, and better yet: they’ll be playing spaghetti westerns (another source of comfort for owner Paige Lipari and her employees). 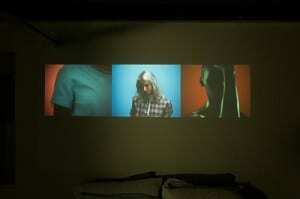 What if you could experience art in a totally different way – at a house party, for instance? Hatch Series is a New York/Taipei-based curatorial collective that aims to showcase emerging artists, create physical and virtual communities, and provide seemingly unusual spaces for exhibiting art—such as most recently, at the Greenpoint loft of co-Exhibition Manager Amanda Picotte. 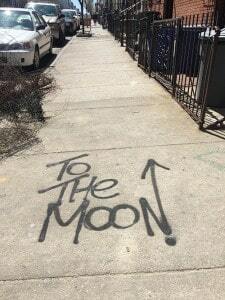 Have you ever been walking the streets of Greenpoint and noticed a careful scrawl with an arrow, “To the Moon” on the sidewalk? The artist who goes by Gazoo To The Moon has spread his message everywhere he goes. Often carrying spray paint in his bag, even when he’s traveling, his work relays the idea that you should always be shooting for your dreams. So why not shoot for the moon? It sounds kind of crazy, but one of the most fun experiences I’ve had recently is getting locked in a room and discovering a way out. 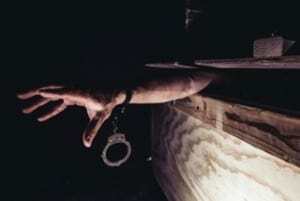 Escape room games are fun, scary, and a way of making you think creatively. Greenpoint’s Komnata Quest offers several different experiences—you choose an “adventure” and get locked into a room. The point? To solve a mystery with 1-4 people you know—and find your way out in less than an hour. There are no actors—just you and your friends in the room. You use the clues you are given, and solve clue after clue until you solve the mystery. , a hilarious YouTube cooking show, is the brainchild of Ricky Aiello and Amanda Picotte. 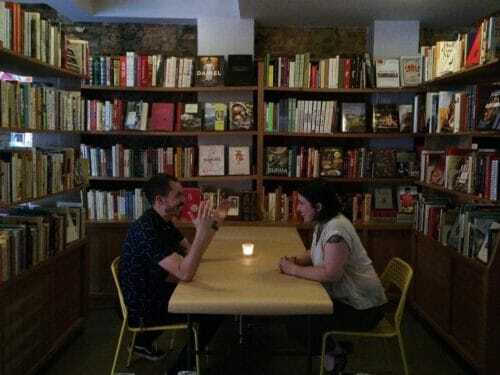 Shot about every other week primarily in their Greenpoint loft with Ricky in front of the stove, and Amanda behind the camera, they share creative recipes, cooking tricks, and wine tips. They brainstorm together on how to show the world that cooking is sincerely fun and not stressful. For them, it’s a passion project for sharing their own form of edible entertainment. Watch Ricky prepare “Vegan Tostilocos” on a boat. These gorgeous evenings lately have led many of us to hang outside until well after dark, but there is another way to enjoy summer. 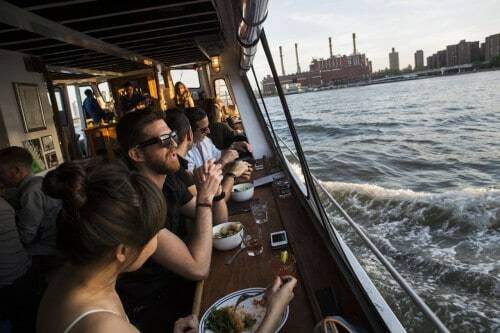 Hop on The Water Table at the India Street pier for an amazing boat ride through the East River down to the Statue of Liberty, complete with New England-focused food, craft beer, good wine, wonderful cocktails, and a lovely sunset with views of the East River Bridges, beautiful Brooklyn, and the Manhattan skyline! True Leaves Floral is a beautiful concept from Jessica Balnaves & Ryann Mead. 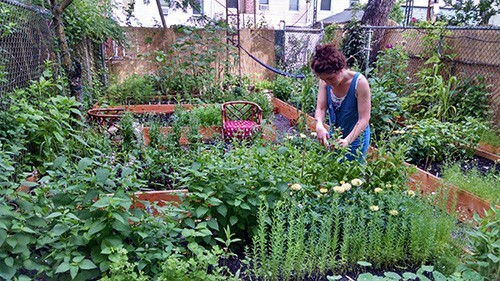 Jess and Ryann grow gorgeous flowers in Jess’s Bushwick backyard, and create unique flower arrangements with their home grown flowers. It’s really easy to get all your veggies this spring and summer in North Brooklyn with the vast variety of CSAs. CSAs (which stands for Community Supported Agriculture, and CSAs are also sometimes called farm shares) are a great way for people to have access to local, fresh vegetables, fruit, and other food directly from the farms. Participants purchase a “share” for a season—shares are based on items, delivery regularity, or size—paying in winter or spring for a box of locally delivered goods. By providing financial support to the farmer early on, you support the farmer no matter what the weather—and you get to be treated to the bounty of whatever the weather provides. Best of all, you don’t have to deal with worrying about oversleeping and missing the good stuff at the farmers’ market! Because you generally don’t get to pick which kinds of vegetables and fruit, and you are often exposed to new kinds of fruit and vegetables, it’s a great chance to learn how to cook new veggies. Many of the CSAs also provide a website or Facebook group with recipes; be sure to inquire. 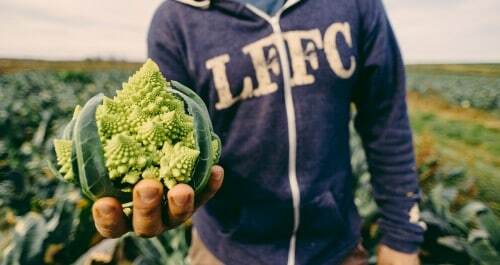 If you’re interested in signing up for a CSA, you should get a move on. Some have already closed for the season, and many are nearing capacity.